In the late 1960’s it had been more than a decade since my parents had left the city of their birth to move to the city where I would be born and they would live the most of the rest of their lives. Movement has been part of our family tradition. In addition to my parents moving, my Grandmother Eleanor Olivant was born in Romeo Michigan moving to Toronto in her childhood years. As my grandparents advancing age became impactful on their ability to take care of themselves they joined my parents in Sudbury. My grandmother was not well and passed away not much later. Her passing had a devastating effect on my Grandfather and he began to rapidly decline. The impact of all this was lost on this 4-5 year old and I have very few memories of that time. Only in later years did I realize the toll taken on my parents. My father, like me, was an only child and he did what was necessary to take care of his family. 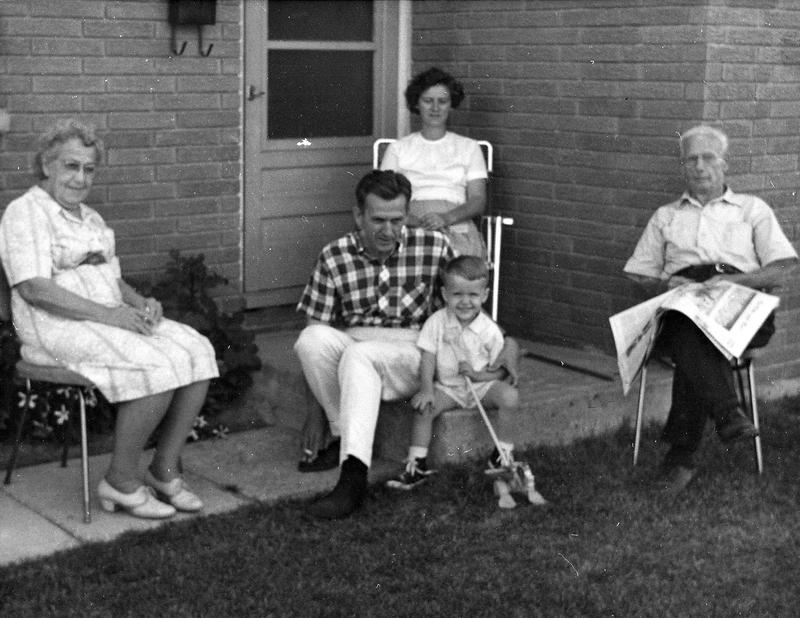 This photograph was taken circa 1968a year or so before my grandparents joined us during one of their visits. While I do not recall when these pictures were taken I am so glad to have them today. This entry was posted in 1960's, Family Portrait and tagged Beatrice Olivant, Eleanor Olivant, Family, Gordon Olivant, Harold Olivant, Olivant, William Olivant.